Chris Boemer was 52 years old, when he passed away peacefully in his home in Jordan, MN, on October 8, 2018. Family will be holding a Celebration of Life service in the Spring of 2019. On February 19, 1966 in St. Paul, MN, Christopher Joseph was born to parents, James Francis and Katherine Korrine (Kruchowski) Boemer. The middle child of five, he grew up in White Bear Lake, MN, with his siblings, Amy, John, Bob and Amanda. Chris enjoyed spending time with family and friends. For many summers, he grew up spending quality time with his Grandpa John. They had a very close relationship. Chris has fond memories of their fishing trip to Canada. Chris had a special bond with his mom and they shared the same sense of humor. A love for hockey, Chris lived at the rink playing with family and friends. Due to his dad’s job, the Boemer family moved to Le Sueur in 1981. Being the new guy in high school and the class clown, Chris was quite popular. Chris was a graduate of the LeSueur High School Class of 1984. Wanting a new adventure in life, Chris moved to Illinois to live with his brother John, returning several years later back to Minnesota. Over the course of Chris’ career, he perfected his craft, as a machine adjustor. There was only a select few that specialized in this position. Chris spent most of his professional career with Liberty Envelope Corp, in Eden Prairie, MN. While at Liberty Envelope Corp Chris met his life partner, Sue Heimer. It began with Chris as Machine Adjuster and Sue assigned his operator. They continued to work side by side for 22 years. They fell in love and shared a home for 20 years. Chris became a father figure to Sue’s 3 children and later built a strong relationship with their 5 grandchildren who visited often and helped with chores during Chris’s long illness. He was also a special uncle to Reece, Nathan and Stephanie and great-uncle to Charlie and Natilee. They were the stars in his eyes and meant the world to him. Chris enjoyed life to the fullest. He loved being outdoors with family and friends. Countless hours were spent fishing, boating and camping. In the Fall, Chris enjoyed duck, pheasant and deer hunting. Through his fishing and hunting excursions, he proudly displayed the award-winning animal mounts in his man cave. Chris also enjoyed the outdoors camping and riding his Gold Wing motorcycle. He has warm memories traveling to Mexico with good friends, Mark Duzan and Cheryl Vinge. Chris was always ready to sit down for a good meal of seafood and steak. He could also be found cheering on the Minnesota Wild, Vikings and Gopher hockey and football teams. Chris found great companionship with his four-legged friends, his dogs Skittles and Tyson. In November of 2015, Chris was diagnosed with Atypical HUS. He fought the disease hard and tried to stay strong. Chris spent many months in and out of hospitals and rehab centers supported by his loving and devoted partner Sue every step. Chris was confident, loving and had a wonderful sense of humor. His infectious laugh lightened everyone’s life he touched. His memory now lives on in the hearts of his partner, Sue Heimer; siblings, Amy Boemer, John (Linda) Boemer, Bob Boemer, Amanda Boemer; nephews and niece, Reece, Nathan, Stephanie (Fiancé Travis Henderson) Boemer; great-nieces, Charlie, Natilee; children, Jill (Tim) Heimer, Jamie Heimer, Neal (Susan Abdullahi) Heimer; grandchildren, Jerad, Dylan, Brenden, Morgan, Silas ; aunts, uncles and cousins, and many friends. 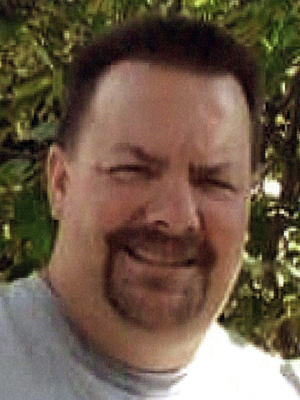 Chris is preceded in death by his parents; grandparents and sister-in-law, Connie Boemer. My heartfelt sympathy goes out to all family and friends. May all families look forward to a time in the near future when death will be no more and all sickness will be done away with. Isaiah 25:8 and 33:24. Knowing that there is an opportunity to be reunited with loved ones.